Tilgul Shengdana Vadi: Sweet or dessert prepared using Tilgul(Sesame Seeds) ,peanuts and jaggery will just make you drool. ‘Makar sankranti’ is celebrated all over India with different names. In Tamil Nadu it is celebrated as ‘Pongal’, in North it includes kite flying festival. Each state has it’s own way of celebrating it. 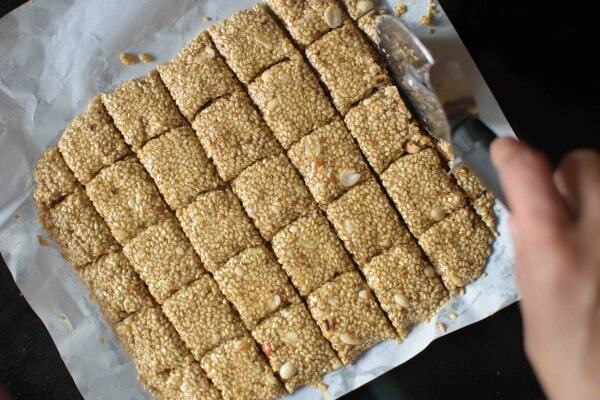 Sweets using Til(Sesame seeds) and jaggery is a specialty of this festival. 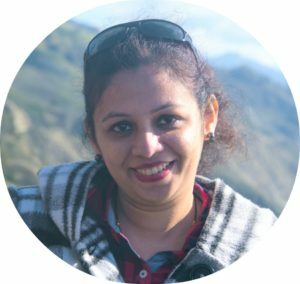 Til, which is a good source of vital nutrients helping to keep you warm during winter goes well when combined with jaggery which is a good source antioxidants and minerals like zinc and selenium, which help prevent free-radicals(responsible for early ageing). To conclude ,Tilgul Shengdana Vadi is completely a vegan and easy dessert prepared during Makar Sankranti. We do prepare Til ladoo too , almost the same recipe as that of vadi. 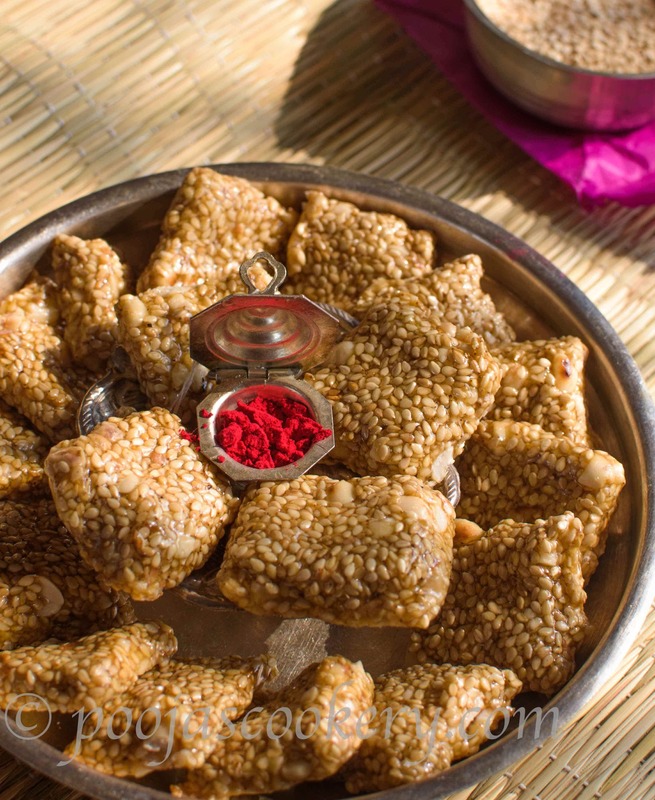 What basically goes in these vadi is roasted sesame seeds, roasted crushed peanuts and jaggery . Thats it. One of the easy recipes you can ever try. Dry roast sesame seeds on medium heat for about 2-3 minutes and keep aside. 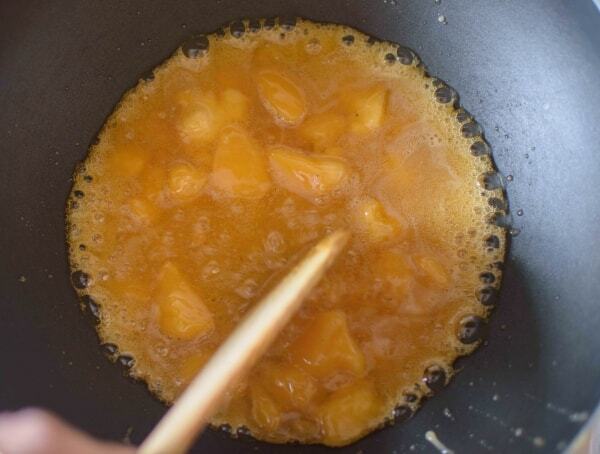 Take jaggery and a tablespoon of water in a saucepan kept on medium high heat and allow jaggery to dissolve well . Once the jaggery syrup come to boil and add in crushed peanuts,roasted sesame seeds and cardamom powder. Mix properly ,remove from heat and pour it on a greased plate or on butter paper and spread well. Using a knife, of pizza cutter, give square or rectangular cuts.Allow it to cool for about 30 minutes and loosen each vadi and store in the container. Using a knife, of pizza cutter, give square or rectangular cuts. Allow it to cool for about 30 minutes and loosen each vadi and store in the container. 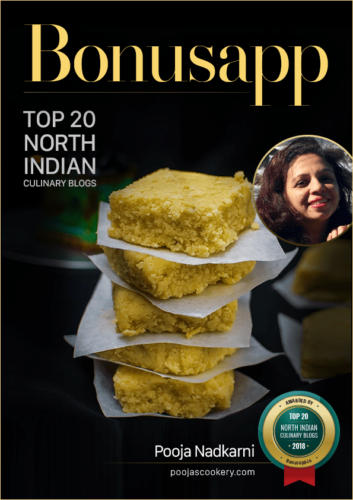 Hi Pooja, Sesame seeds and Jaggery are best for winter. I have always buy tilgur chikki from the market. On last weekend I tried your recipe and got success. Thanks dear for sharing. 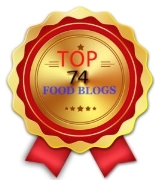 Its really awesome recipe. Thank you for sharing.